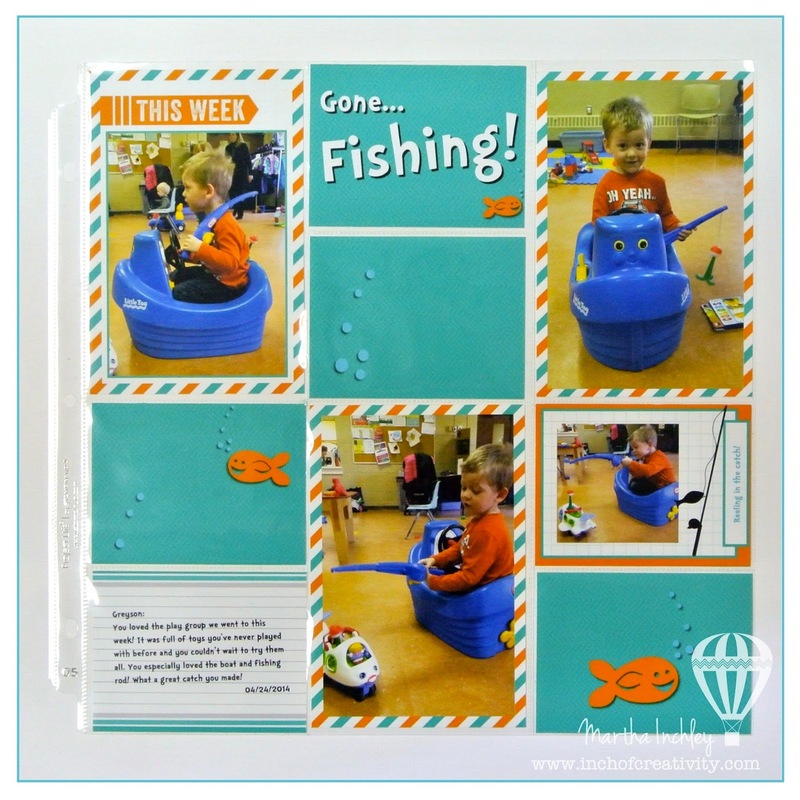 Inch of Creativity: Digital Project Life: Gone Fishing! 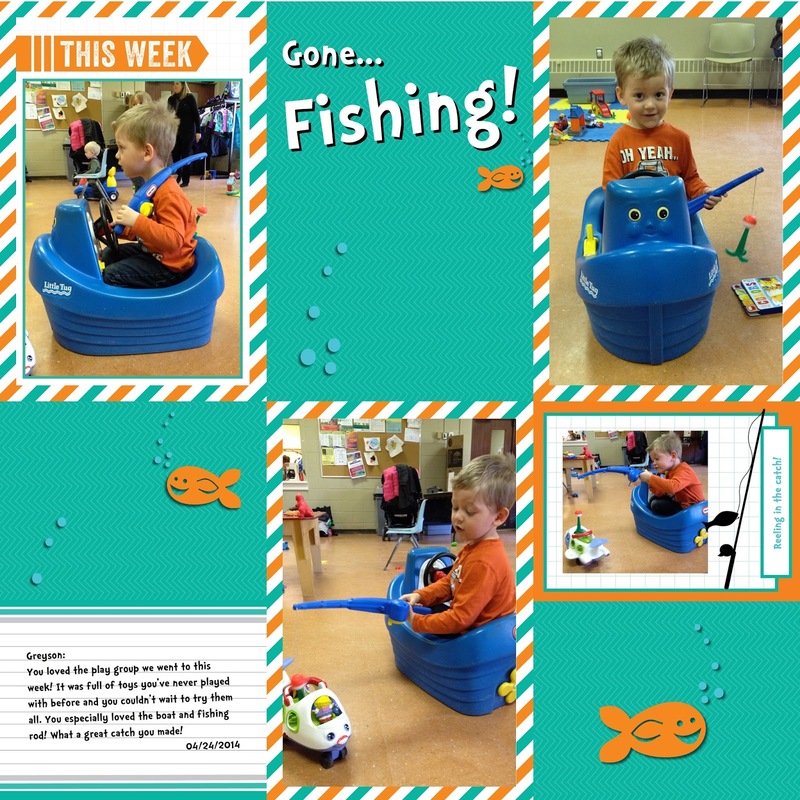 Digital Project Life: Gone Fishing! I love that project life is in digital format... you NEVER run out of inserts! EVER! Which also means, you can use the same one over and over again, and that's exactly what I did on today's page. Once again, I kept to an original Project Life layout (#5), but this time I resized items. I won't be able to re-create this in real life, but that's okay... part of the fun of having PL in digital format is that I can simply design my own custom inserts! Once I had my page designed, I exported it as a JPG and brought it into iPhoto. I then cropped the page into 4X6 sections (Duplicate your picture and crop out each section) and printed them out. (I have a printer that prints borderless 4X6 prints...) Then I cut the 3 photos that needed dividing and inserted all my pictures into their designated pocket. Voila! Thanks for dropping in, and as always... Happy Creating!